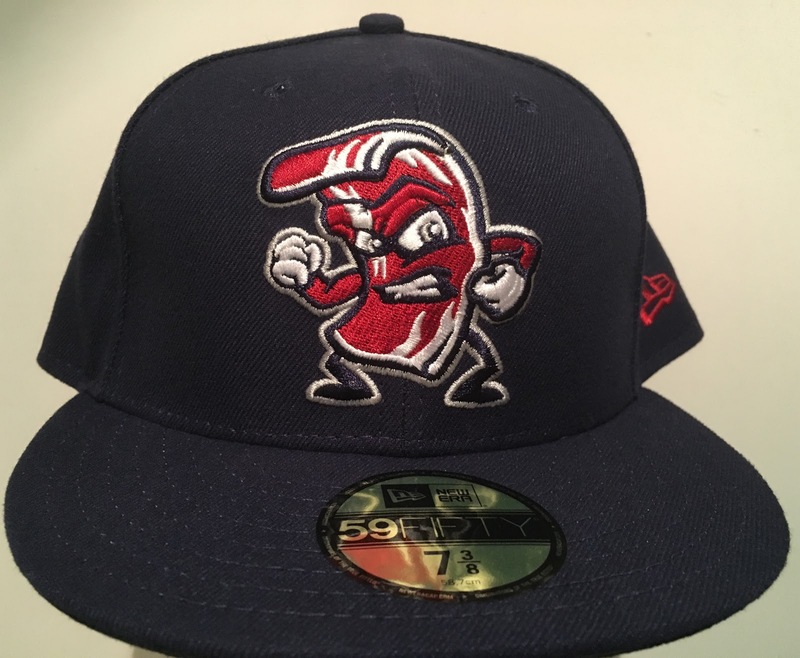 I've had a lot of fun over the past two months writing about classic International League teams and the different caps that teams have worn over the years but I think this week's Lehigh Valley IronPigs "Fighting Bacon" cap will be the 8th and final cap of this run. Just like many of the cap logo designs that Brandiose produces, this Bacon is a surly character who's ready to rumble as his anger is sizzling hot. Like the "Bacon and Eggs"/"Eggs and Bacon" cap that I wrote about on December 28, 2018, the origin of this cap's logo comes from another Food Fight type of series. This time the IronPigs took on the identity of Bacon while the Fresno Grizzlies of the Pacific Coast League were the Tacos. While the IronPigs once again turned to the brain geniuses of Brandiose for their design, Fresno used an in-house design team of artists named Dorian Castro and Andy Inman. I like the Bacon logo more but if I also really dig Fresno's work here as well as their other themed caps used for the "Coming to Fresno" and "Halfway 2 Halloween" nights. Just like the Bacon and Eggs hat, this hat is way too special to go on the Trading Block but please don't hesitate to reach out if you want any other cap from that list and you are willing to part with any of the hats on my Wish List.